Early this June, the Manatee County Commission gave its blessing on the plan of Lakewood Ranch master developer Schroeder Manatee Ranch to set up the new community of Solera off Uihlein Road. Its residential lots will be platted out of 278.4 acres of pastureland 2.1 miles south of State Road 64 and 1.3 miles north of State Road 70. Solera is planned for 675 single-family homes, with D.R. Horton as the community’s builder. More than 151 acres or half of the acreage have been designated as open spaces, 56.8 acres of which will be lakes. Over 3.1 acres have been reserved for a community park, a playground and possibly a clubhouse with a swimming pool. The community’s main gates will be on Uihlein Road and Rangeland Parkway, while a secondary entrance will be set on Bourneside Boulevard. Solera’s getting the green light from the county follows the commission’s approval in April of another new Lakewood Ranch community, Cresswind, directly north of Solera. Kolter Homes is the builder at Cresswind which occupies a site of nearly 250 acres on a Uihlein Road extension likewise between State Road 70 and south of State Road 64. Cresswind is planned as a gated community targeted for active adults and is envisioned as a “country club minus a golf course.” This community seeks to impress prospective buyers with its inside streets designed as wide boulevards featuring landscaped sidewalks on both sides that in effect would serve as linear parks. Reserved open spaces, including stormwater ponds, constitute 46 percent of this community. The community’s amenities will be clustered in 5.2-acre recreational center featuring a clubhouse, swimming pool, fitness center, and sport courts. Cresswind and Solera are set within the northeast quadrant of Lakewood Ranch sprawling over 5,595 acres in northeast Manatee County. Besides thousands of new homes, this vast acreage is also being groomed for retail, office and industrial uses. Likewise in this area is the Lakewood National Golf & Country Club, where Lennar Corp. is well on course of building in this golf community 477 single-family homes plus 1,110 multi-family residences. Earlier, it was also reported that Lennar is girding for the development of the Woodlands at Lakewood Ranch in a 545-acre site north of the Premier Sports Campus and Lakewood Ranch Post Office on 5910 Post Boulevard. 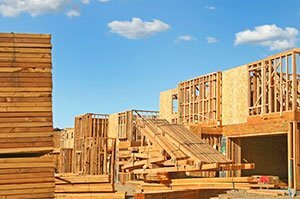 This planned new community will be comprised of 1,500 homes, including single family and multifamily residences, and its development will proceed in two phases. 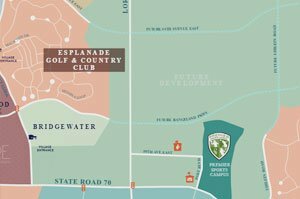 Taylor Morrison, which has a stake at the nearby Esplanade at Lakewood Ranch, has also set construction of 1,750 residences on 991.8 acres located just south of State Road 64 East. 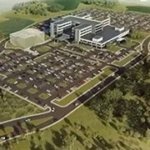 This yet unnamed development would include a golf course and would preserve 25 percent of its acreage as open space. All told, reports have it that Lakewood Ranch developer Schroeder-Manatee Ranch is seeking county approval for the construction of 3,262 homes in its Manatee landholdings around State Road 70. If all these residences are built and sold, the master development would definitely be well on its way on rivaling the Sarasota and Manatee’s household count.